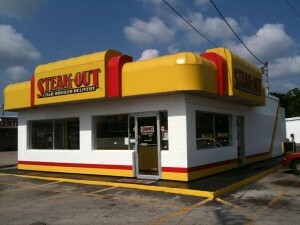 Steak-Out has been proudly serving the Decatur, AL dining scene for over two decades. Our restaurant is dedicated to serving up quality steaks, sandwiches, and salads at a reasonable price and delivering it nice and hot directly to your door. So next time you are in the mood for a restaurant-quality meal but would rather stay home, give us a call or place an order online.